The Idaho Supreme Court will hear the case of St. Alphonsus Medical Center vs. Ada County Sheriff Gary Raney at 11:10 a.m. on Jan. 10. The Idaho Supreme Court will hear the case of Boise Project Board of Control vs. Idaho Department of Water Resources at 10 a.m. on Jan. 8. The Idaho Supreme Court will hear the case of Ballentyne Ditch Company, et al. vs. Idaho Department of Water Resources at 8:50 a.m. on Jan. 8. 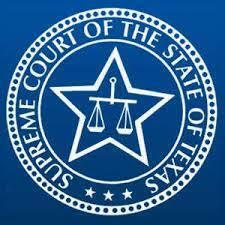 The Texas Supreme Court will hear the case of Jim P. Benge, M.D. and Kelsey-Seybold Medical Group PLLC vs. Lauren Williams at 9 a.m. on Jan. 11. The Texas Supreme Court will hear the case of Willacy County Appraisal District vs. Sebastian Cotton & Grain Ltd. between 9 a.m. and noon on Jan. 10. In 17-1811, Estate of William C. Wilkinson vs. Keith Phillips, lawyers for Wilkinson sent a notice of appeal to the Ohio Supreme Court. In SC17-1907, Robert Tribble Jr. vs. JP Morgan Chase Bank N.A., et. al., Tribble petitioned an appeal to the Supreme Court of Florida. The Arkansas Supreme Court will hear the case of Larry Walther, director, Arkansas Department of Finance & Administration vs. Flis Enterprises Inc. at 10 a.m. on Feb. 9. In CV-18-4, Denise O. McCormick vs. Arkansas State Medical Board, McCormick, medical doctor, sent a notice of appeal to the Arkansas Supreme Court. In 2018-0006, Woods Cove III LLC vs. Martha Eakin et al., Woods Cove, a debt collector, sent a notice of appeal to the Ohio Supreme Court. The Ohio Supreme Court will hear the case of Rick Snider and Janan Snider vs. Dickinson Elks Building LLC at 9:30 a.m. on Jan. 9. The Georgia Supreme Court will hear the case of Tenet Health System GB Inc. vs. Thomas at 10 a.m. on Jan. 8. The Georgia Supreme Court will hear the case of Timothy Coen vs. CDC Software Corporation et al. at 10 a.m. on Jan. 8. The Georgia Supreme Court will hear the case of Mondy et al. vs. Magnolia Advanced Materials Inc. at 10 a.m. on Jan. 8. In SC17-1387, Marie Ann Glass vs. Nationstar Mortgage LLC et. al., Glass sent a notice of appeal to the Florida Supreme Court. In SC17-1848, Law Offices of Herssein and Herssein PA, et al. vs. United Services Automobile Association, the Law Offices of Herssein sent a notice of appeal to the Florida Supreme Court. In SC17-2109, Felix I. Gaspard vs. BAC Home Loans Servicing LP et. al., Gaspard has sent a notice of appeal to the Florida Supreme Court. In SC17-2164, Rose Pollari, et al. vs. Philip Morris USA Inc., et al, Pollari, a representative of the estate Paul Pollari, sent a notice of appeal to the Florida Supreme Court. 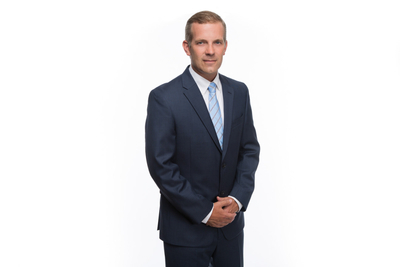 In SC17-2203, John M. Bennett and Nancy L. Bennett vs. Mortgage Electronic Registration Systems Inc. et al, the Bennetts sent a notice of appeal to the Florida Supreme Court. 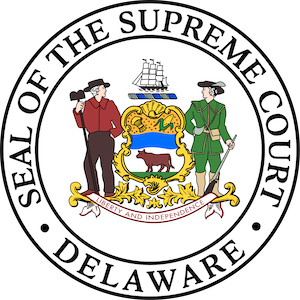 In 122-2017, Adam Norcross v. State of Delaware, Norcross, who was convicted of murder in the first degree in 2001 and sentenced to death, sent a notice of appeal to the Supreme Court of the State of Delaware.